With four seasons, each offering beautiful and unique landscapes, South Korea is a perfect destination for tourist to admire and enjoy their vacation either on the beach, the snow, cherry blossoms and even the coat of crimson leaves. South Korea economy is driven by the exports and manufacturing of automobiles, electronics and ships to countries all around the world and it has a rapid economy growth due to its export focused strategy. South Korea entertainment, known as K-POP (Korean Popular Music ) has become an essential component of South Korean tourism. With the endorsement and aid of the South Korean government, the Internet, and the utilization of Idols in campaigns, young tourists has been flocking in to Seoul to get a glimpse of their Idol’s lifestyle. 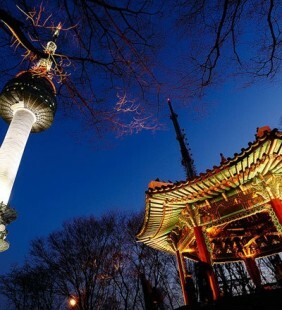 Currently a hot spot destination and on many people's bucket list, Seoul is a culturally rich country with so much to offer. City and capital of South Korea, Seoul is located on the Han River. From buying cosmetics at Myeongdong to café-hopping at Garosu-gil, there are many things you can do when in Seoul for the first time. 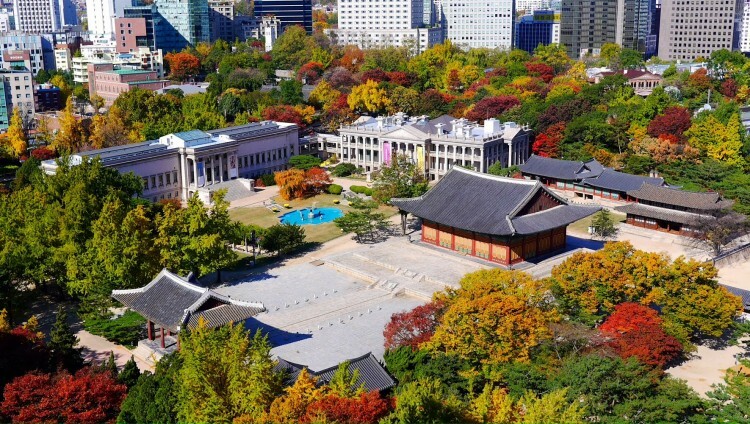 Top things to do recommended by us here at Packist is visiting Gyeongbokgung Palace which is arguably the most beautiful and remains the grandest of all five palaces in Seoul. For an amazing shopping spree, Dongdaemun area as well as Myeongdong will definitely be the hot spot for wholesale clothing and a huge range of Korean beauty brands.You will be able to go back through time when you visit Bukchon Traditional Culture center where there is still a large cluster of privately owned traditional Korean wooden houses or hanok in Seoul. If you have an extra day to spare, do take a day visit to either the famous Nami Island OR a train ride to Edelweiss Swiss Theme Village where you would actually think you are in "Switzerland" and if would like to go to Busan for the colourful housing area however do not have the time, we recommend visiting Gamcheon Cultural Village. Jeju Island is has a bounty of natural treasures, perfect for an avid golfers to an extreme trekker, the island has recently been appointed as as one of the world's New 7 Wonders of Nature. Jeju is the largest island of the Korean Peninsula, and the main island of Jeju Province of South Korea. The island contains the natural World Heritage Site Jeju Volcanic Island and Lava Tubes. If you would like to have a visit, do have a relaxing time at Hyeopjae beach which is arguably Jeju’s most scenic beach especially during sunset. Have delicious seafood dishes since Jeju is heavily influenced with flavour of the sea like haemul tang which is filled with shrimp, crab, clams and a host of delicious fish in a semi-clear seafood broth. If you like to challenge yourself, take the Halla Mountain Challenge.Though not everyone might be equipped to challenge the 1950m summit via a 9km (five hours one-way) hike, there are less demanding trail options (ranging from 30 minutes to 3.5 hours) that deliver the Halla experience. Expect magnificent foliage, awe inspiring rock formations and hordes of fashionable hikers sporting the absolute latest in alpine gear. For Korean Drama lovers, Nami Island is a place which does not requires further introduction as this is the birthplace of all the Korean Craze. This is one of the place where the famous international Korean Drama Winter Sonata was filmed. Hence to put it short, it is a must visit for all Winter Sonata fans! You will be able to see many Korean couples wearing identical clothes while riding a bike and having a picnic. Asides from being home to the famous Incheon International Airport, Incheon’s exponential growth as a metropolitan coastal city has very much to offer as a tourist destination. Take some wonderful photos of the grand Jeondeungsa Buddhist temple and appreciate the vast natural setting and colourful architecture. Or you can appreciate a whole new variant of East Asian culture by visiting Incheon’s Chinatown and treat yourself with some amazing Chinese food at South Korea’s only official Chinatown. Getting around: If you are not taking a private tour,South Korea’s public transportation is accessible enough especially in Seoul. If you purchase the Korea T-money card (more info here), all you have to do is tap in and out of the gantries when you board the train. Taxis are quite affordable as well.